When your child is fighting a fever or coughing all night long, it’s natural to want to rush to the pediatrician’s office. But, wait – that strategy may not be best! With a rotation of sick kids visiting each day, a doctor’s office can have tons of germs lurking around every corner. 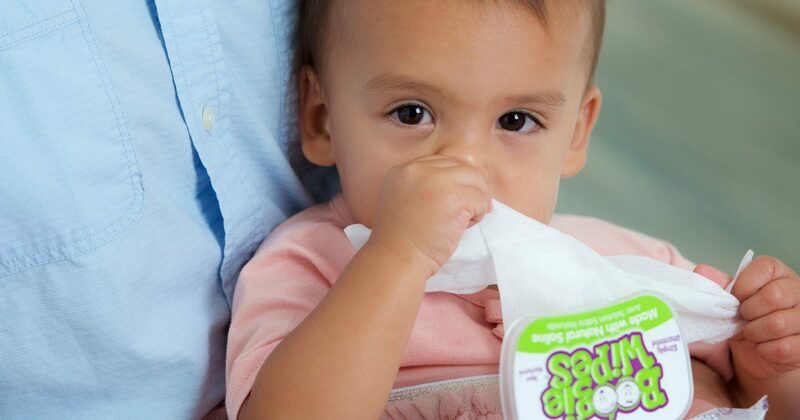 If your child’s immune system is already fighting something, he or she could be more susceptible to germs. It’s possible that you’ll take your child to the doctor to treat a cough, and leave with a stomach bug. Barf. Before you rush to the pediatrician, keep these tips in mind. Dr. Katie (of Forever Freckled) is a pediatrician, mom and blogger. In a recent Facebook Live event, she made several suggestions to keep in mind before taking your child to the doctor. Call first. While your pediatrician might ask you to make an appointment, it doesn’t hurt to check in with a nurse or the doctor first. They may give you tips to soothe a cold at home or give you more signs to look for before bringing your child into the office. If you do need to make an appointment, try to book as early in the day as possible. Waiting rooms are disinfected each night, so the earlier in the day the fewer the germs. This is definitely the time to keep your child close. If your child is young enough, strap them into a stroller to keep them from roaming the waiting room or playing with the toys or books. If you have an older child, keep them close to you. And, regardless of your little one’s age, make sure to bring your own entertainment. Speaking of entertainment, this is not the time to showcase your “super parent” abilities. Hand over your phone, an iPad or a portable DVD player to keep your child quietly entertained and not touching everything in the waiting room. Don’t worry… no one will judge you. Be sure to wash your hands (or use hand sanitizer) as you are leaving your appointment. While you don’t want to avoid the pediatrician’s office, you’ll definitely want to keep these tips in mind throughout cold and flu season.